I Just saw True Grit (2010 version) and Hailee Steinfeld who plays Mattie Ross is the Jane Austen version of Elizabeth Bennett in this post Civil War era story. Her cutting wit and intelligence of speech took me back to Pride and Prejudice all over again. You really had to pay attention to what they were saying as the actors spoke so quickly with so many words to express. My husband’s comment to that was “they sure talked a lot”. The Mattie Ross (Steinfeld) and the Texas Ranger LeBeouf (Matt Damon) characters had the eloquence of speech which was surprising to see in a Western movie. Amazingly, the character Lucky Ned Pepper (Barry Pepper) was quite articulate for an outlaw. He was quite a captavating character! Rooster Cogburn (Jeff Bridges) and Tom Chaney (Josh Brolin) as primary characters were rough and less refined in their speech, probably due to lack of schooling. But they were shrewd surveyors of criminal behavior as they cunningly made each strategic move. Interestingly, Bridges, Damon and Brolin were listed before Steinfeld in the credits. But to me she was the star. This is Mattie Ross’s story. She got Cogburn and LeBeouf together to hunt down Tom Chaney, the man who killed her father. She was the one at the helm and was determined to avenge her father’s death. These men had the hunger to hunt down outlaws and she knew it and played on that yearning to continue on with the story. I will have to see the 1969 version with John Wayne. I think it was on Turner Classic Movies (TCM) recently. I’ll have to rent it on Netflix and continue my comparisons. I found Hailee Steinfeld’s portrayal to be captivating and was the highlight of the movie. I could easily picture Elizabeth Bennett in the role of Mattie. Confident, young, willful and determined. Jane Austen-Western Style. I absolutely love appetizers! Traditionally, we have appetizers during our annual family gathering on Christmas Eve. 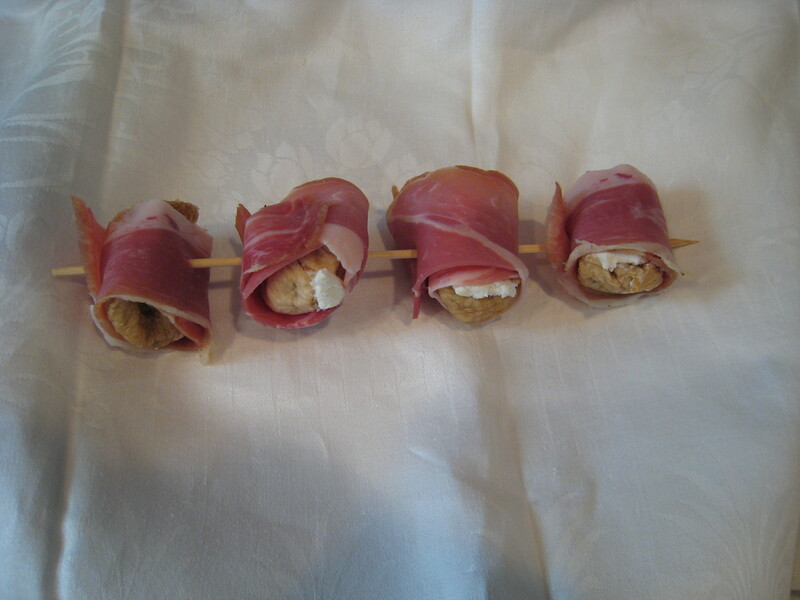 With New Years Eve just around the corner – appetizers are the perfect party fare. This is a new favorite of my college-aged kids. Prosciutto Wrapped Figs. I personally had trouble finding fresh figs this Christmas at Whole Foods and substituted with dried figs and with dried dates. They turned out yummy even with the substitutions. I got the recipe from the FoodNetwork website but I also saw a variation made on Queer Eye for the Straight Guy many years ago. Preheat oven to 400 degrees F. Line a baking sheet with parchment paper, set aside. Cut a small hole in the center of the flesh of each fig. 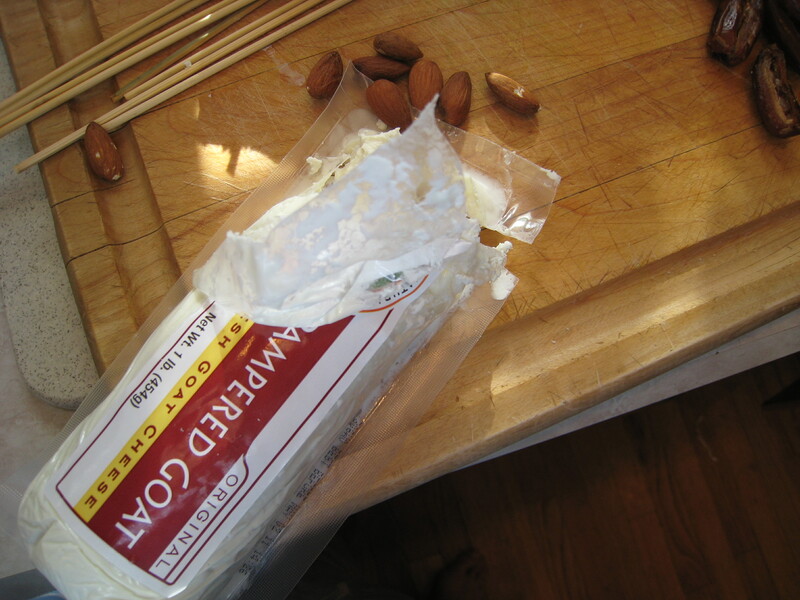 Fill each hole with 1/4 tsp of goat cheese. 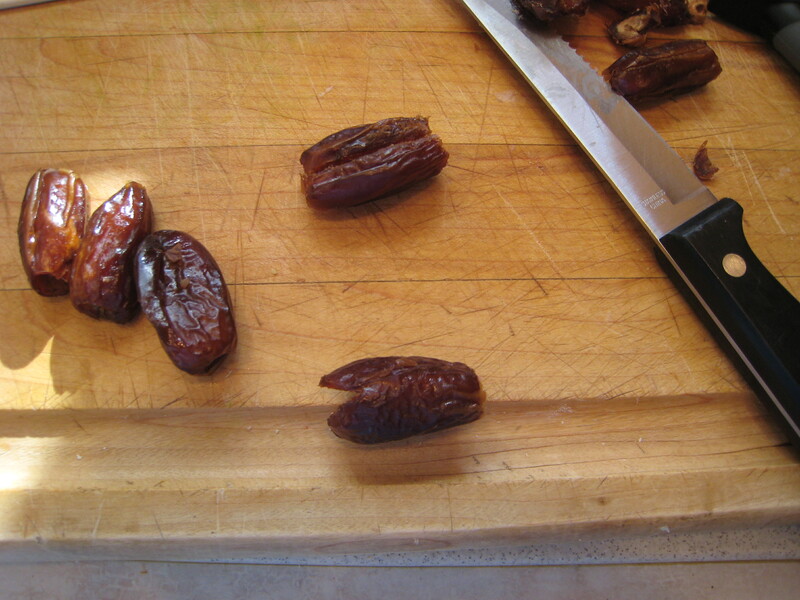 If you use dates and the cheese is soft enough you can use a piping bag and squeeze it into the center of the date. 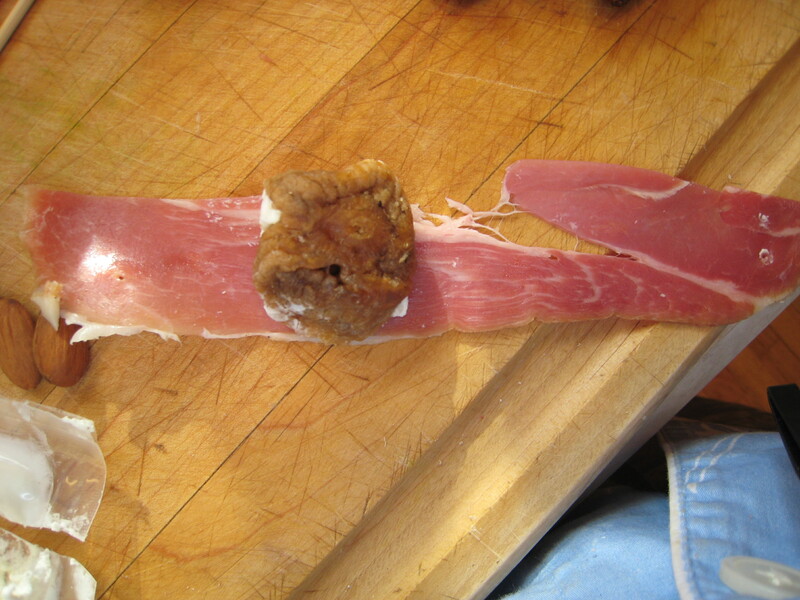 Take a prosciutto slice and cut it down the center making a strip. 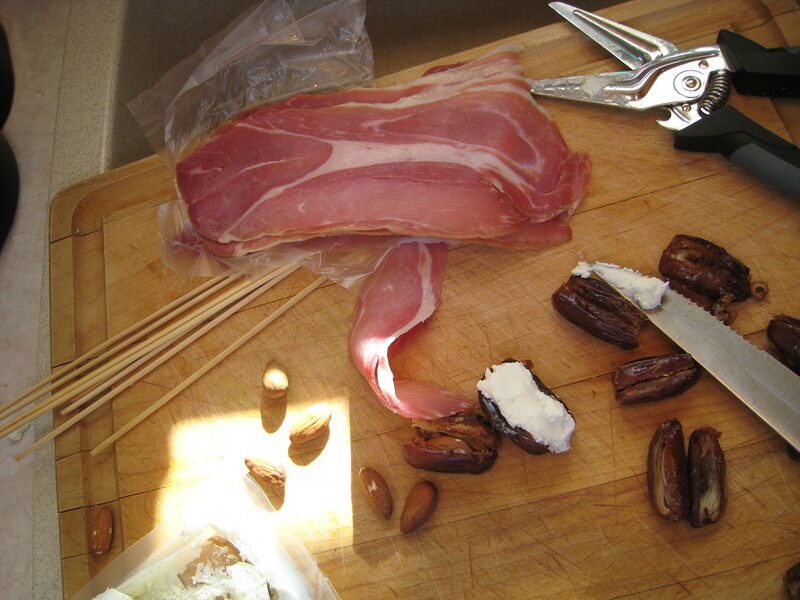 Roll or wrap the prosciutto around the fig, starting from the top. Tuck underneath at the ends and secure with a skewer or toothpick if needed. Place on the baking sheet. So long to 2010 it was a great ride…onto to new things…Welcome 2011 and to a new year of blogging.